ENERGY STAR® is a government-backed labeling program that helps people and organizations save money and reduce greenhouse gas emissions by identifying factories, office equipment, home appliances and electronics that have superior energy efficiency. Throughout this article we will discuss the energy efficient codes in baltimore and the r values needed for the minimum code. But first off, lets consider what that exactly entails. 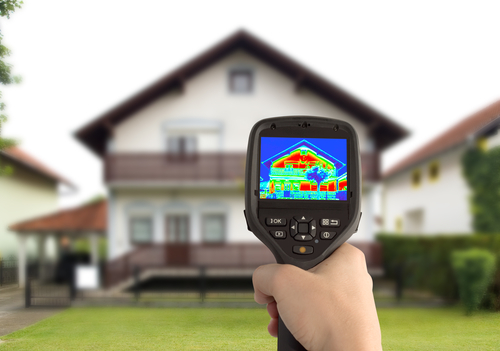 Insulation performance is measured by r-value- its ability to resist heat flow. Higher R-values mean more insulating power. Different R-values are recommended depending on where you live for walls, attics, basements and crawlspaces. Specifically we will focus on the area we know best, Baltimore. Access doors from conditioned spaces to unconditioned spaces (attics and crawl spaces) should be weatherstripped and insulated. In Maryland the recommended insulation level for most attics is R-49 or about 15-20 inches, depending on the insulation type. Sealing air leaks before adding your insulation will ensure that you get the best performance from your insulation. Where to use and How much? It should have a minimum of R-49 in the attic, which is equivalent to approximately 16″ of fiberglass insulation. Fiberglass batts for standard 2×4 walls are available in low, medium, and high density products that range from R-11 to R-15. Whereas, Sprayed foam insulation in the same wall cavity can range from an R-14 to an R-28 depending on the product. Depending on different circumstances such as – interference with moisture and proper ventilation – The United States Department of Energy recommends having insulation of R-25. Let us help you today to ensure the right consumption of energy. We can help you with our knowledge and experience of saving our customers money on their monthly energy bills. Give us a call today!